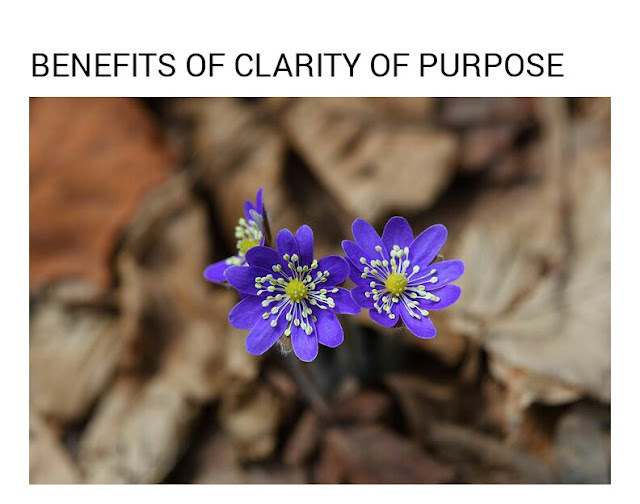 BENEFITS OF CLARITY OF PURPOSE: WHAT EXACTLY DO YOU WANT? Everyone wants to be successful, but success means different things to different people. To some it means academic degrees, to some, getting married, having children, being debt free, being famous or being rich. Even being rich still differs in definition to many people. To some, just a million naira is enough, to some anything less than billions is not wealth. Others believe if they can feed properly and live comfortably they are rich. People have different needs and different perception of even the same need. In all these, people go to various lengths to attain what they want, but it seams that only people who know what exactly they want ever get it. Only those who have clarity of goals achieve success. Life is not fair and we do not always get what we wish for. For the most part, we get nothing except we fight for it and we do not fight battles we think profits us nothing. It is only when a man is clear of what he wants that he begins to fight for it. The benefits of clarity of purpose are enormous. Vagueness is draining. You need to be clear of what you want. Their is no motivation to move when we do not know where we are going. The reason you are not running right now is because there is currently no reason to start running. Once you know what you want you will begin to pursue it with less distractions. Clarity of goals enhances focus, and once you are fixed on anything, it doesn't take much time than necessary for you to get their. You will even forget the volume of work required to get there. You are naturally motivated. When you do not know what you want or where you are going, every little work becomes ardous. You may have an idea of what you want or a general knowledge of what success means to you but that doesn't qualify as clarity. You must be sure of what exactly you want. How much in naira and dollars? which particular job? What exact type of house? Which brand of car? You must recognize your testimony should you see it on the road. There is this mystery in life that once you become clear about what you want in life all of nature begins to align its forces to bring it to you. Have you noticed that Once you pick interest in a particular brand of car. All of a sudden, you keep seeing that car everywhere you go, it will be as though you have never been seeing it before now. It's the law of attraction. Nature keeps introducing your interests to you with the opportunities that follow getting it. As you see the subject of your interest, you will also be introduced to opportunities you never knew existed on how to get it. Not that opportunities never existed but because you where not interested enough, your attention was not drawn to them. Opportunities in nature abound to bring you to your place of interest but you need complete clarity that states where you are going, how you want to get there and when you intend to arrive. Nature rewards clarity of purpose. 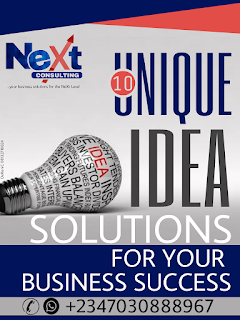 Those who know what they want and want it seriously are shown what they seek and how to get it at even less cost. You may be surprised where opportunities hide and how your being clear will uncover them. With less costly or sometimes completely free coming from someone or place you have always known but didn't know had such opportunities. There is this saying " be careful of what you want because you will soon get it " want something enough nature will bring it to you and show you the price to pay for it. Hopefully you can pay and get it. And because you want it enough most likely you can pay for it in some way maybe not the form the price is presented. You can offer your own terms and negotiate for it. Pay with what you have which is what you can pay with in any case. Usually there is even more than one payment option, with little more mental and spiritual exercise you can know what you have to exchange for what you need if the current payment option is not feasible. These are all the benefits of clarity, being sure of what you want. Subscribe with email to get all our wonderful posts.